TRIUMPH Moto Fit: "Salt Lake" Bar-end Mirrors. Blue Tint: Special Price! 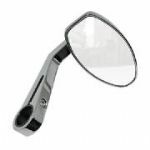 Mirror Extender Rods for Triumph: [1xPair Alloy] Nickel or Black. 35mm Nickel or Black Extender Rods. Rivco Products Magnum 118Db Electric Horn Set ELCHRN : Discontinued Stock Clearance! MOTORBIKE HEATED GRIP SET: Heated grips For 22mm/7/8" Moto Bars. Special Price! 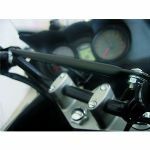 DAYTONA Heated Grips For 22mm Bars DAYTONA HOTGRIPS 12v/57w. All Year Round Comfort! 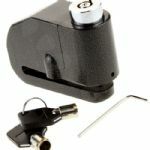 Three Mounting Options Included With This Kit! MOTORCYCLE Alarm Disc Lock 110 Db Siren. 7mm Pin. Anti Theft Disc Alarm. 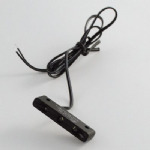 MOTORCYCLE Disc Lock Alarm 110 Db Siren 7mm Pin. Chrome Anti Theft Disc Alarm. 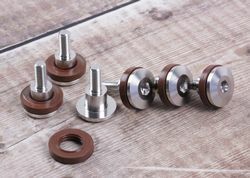 Probolt Number Plate Bolt Kits Reduced to Clear! 7 Colour Options! Rrp £5.75! 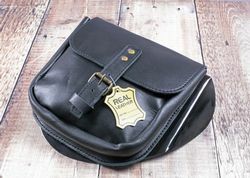 Non bike specific universal kit. Just pick your colour. DIGITAL YOKE CLOCK [Time/Date/Backlite] Batteries Included! 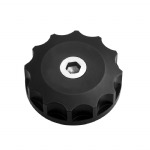 Helmet Security Lock: Handlebar or Frame Attachment 1 Inch/25mm to 32mm Diameter. BLACK or CHROME. 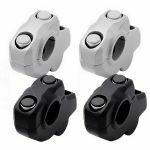 Oberon Racing Foot Pegs. Front Rider Footpegs. All Triumph Applications. Choice of Six Anodized Colours! 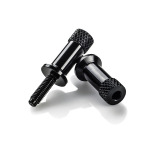 Oberon Racing Foot Pegs. Rear Passenger Footpegs. All Triumph Applications. Oberon Studded Foot Pegs. Front Rider Footpegs. All Triumph Applications. Oberon Studded Foot Pegs. Rear Passenger Footpegs. All Triumph Applications. Oberon Touring Foot Pegs. Front Rider Footpegs. All Triumph Applications. Oberon Touring Foot Pegs. Rear Passenger Footpegs. All Triumph Applications. 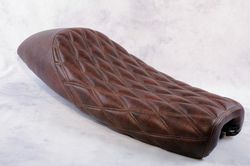 Universal Ductail - Tour: A Rear Motorcycle Fender Flick/Flap Suited for Touring. Universal Ductail - URBAN: A Rear Motorcycle Fender Flick/Flap Suited for Touring. Bonneville Thruxton T100 & Scrambler. Chrome Plated Petrol/Gas Cap "Manx Logo"
Bonneville Thruxton T100 & Scrambler. 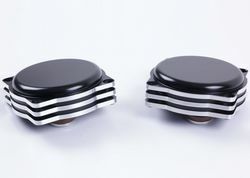 Chrome Plated Petrol/Gas Cap "T Style"
Bonneville Thruxton T100 & Scrambler. Chrome Plated Petrol/Gas Cap "Union Flag"
Fits Various Other Triumph Models! BMW-Powerlet DIN Type/12v BSB-12 Socket Mounting Plate for Handlebar Clamps. Quality Manufactured in Germany. Attention! FOR THE OLDER MODELS WITH 5 BOLT GAS CAP!! British Customs. 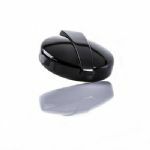 Triumph Mock Monza Fuel Cap / Aston Gas Cap Black: BC406-004. These caps also fit the Triumph “Legend” Series, including the Thunderbird & Adventurer. They do NOT fit the America and Speedmaster. Handle Bar Mounted 12v Power Supply! 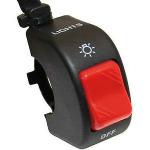 Accessory On/Off switch: For DRL's, Lights or Accessories. Bonneville Thruxton T100 & Scrambler. Brake Fluid Cap "Union Flag Logo" Black MONO/GLOSS. Bonneville Thruxton T100 & Scrambler. Brake Fluid Cap "Union Flag Logo" Black MONO/MATT. Bonneville Thruxton T100 & Scrambler. Brake Fluid Cap "Union Flag Logo" Chrome MONO/GLOSS. Bonneville Thruxton T100 & Scrambler. Brake Fluid Cap "Union Flag Logo" Chrome MONO/MATT. Bonneville Thruxton T100 & Scrambler. Petrol/Gas Cap 'Chrome GRIP Type' Isle Of Man. Bonneville Thruxton T100 & Scrambler. Petrol/Gas Cap. Chrome GRIP Type: "T Grand Prix"
Bonneville Thruxton T100 & Scrambler. 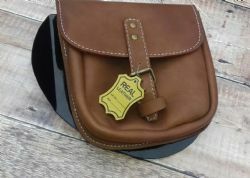 Petrol/Gas Cap: Black GRIP Type "Union Flag"
Bonneville Thruxton T100 & Scrambler. Petrol/Gas Cap: Black GRIP Type. "Aces High"
Bonneville Thruxton T100 & Scrambler. Petrol/Gas Cap: Black GRIP Type. "Cafe Racer"
Bonneville Thruxton T100 & Scrambler. Petrol/Gas Cap: Black GRIP Type. "Isle Of Man"
Bonneville Thruxton T100 & Scrambler. Petrol/Gas Cap: Black GRIP Type. "Skull & Pistons"
Bonneville Thruxton T100 & Scrambler. Petrol/Gas Cap: Black GRIP Type. "T Grand Prix"
Bonneville Thruxton T100 & Scrambler. Petrol/Gas Cap: Black GRIP Type. "Ton Up Boy's"
Bonneville Thruxton T100 & Scrambler. Petrol/Gas Cap: Black GRIP Type. "Union Flag Mono"
Bonneville Thruxton T100 & Scrambler. Petrol/Gas Cap: Black GRIP Type. "Union Flag"
Bonneville Thruxton T100 & Scrambler. Petrol/Gas Cap: Black GRIP Type. "Voodoo Chile"
Bonneville Thruxton T100 & Scrambler. Petrol/Gas Cap: Chrome GRIP Type. "Skull & Pistons"
Bonneville Thruxton T100 & Scrambler. Petrol/Gas Cap: Chrome GRIP Type. "Aces High"
Bonneville Thruxton T100 & Scrambler. Petrol/Gas Cap: Chrome GRIP Type. "Cafe Racer"
Bonneville Thruxton T100 & Scrambler. Petrol/Gas Cap: Chrome GRIP Type. "Ton Up Boy's"
Bonneville Thruxton T100 & Scrambler. Petrol/Gas Cap: Chrome GRIP Type. "Union Flag Mono"
Bonneville Thruxton T100 & Scrambler. Petrol/Gas Cap: Chrome GRIP Type. "Union Flag"
Bonneville Thruxton T100 & Scrambler. Petrol/Gas Cap: Chrome GRIP Type. 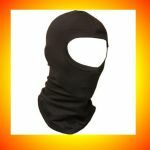 "Voodoo Chile"
Cover dust protection, specifically designed for modern Triumph, available in 2 sizes. LED front position light MICRO PIN: Smoke (To build in) 1 Pair. LED front position light MICRO PIN: Smoked (To build in) 1 Pair. Quality replacement mirrors and arm.